Do you struggle with restless sleep after a long day of travel? Maybe even magnified if you crossed several time zones! We all know that feeling of exhaustion mixed with an inability to get a deep, restful sleep – it seems so ironic, but it happens to many travelers. If you’d like to sleep like a baby when you arrive at your destination, here are a few drinks to try that will make your eyelids a little heavier. It’s no secret that infusions and teas are one of the best remedies for a good night’s sleep. 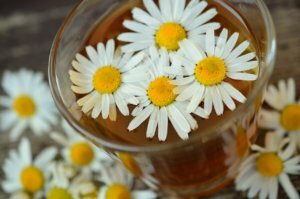 No matter where you’re staying, it’ll always be easy to find a hot chamomile or lavender tea. These two teas specifically have properties to help you fall asleep sweetly and will bring a wash of tranquility over your body. This may sound simple, but if you’re able to drink milk without any issues, a cup of warm milk is ideal as a bedtime sleep aid. It can help you relax like nothing else. Pamper yourself a little by adding a few cookies for dipping. Not just for the kids — hot chocolate is also an excellent sleep remedy! Chocolate has a soothing and relaxing effect on the body that can be enhanced when mixed with a little cinnamon. In many Mexican destinations, they also serve hot chocolate with water, so if you’re lactose intolerant, this is a great alternative. Of course, one of the most relaxing things is a smooth cocktail nightcap. There’s a new boutique hotel in Los Cabos that offers a unique in-room nightcap service! Mar del Cabo is a charming hotel with character and class, offering delicious cuisine, tasty drinks and bespoke services. Simply call the concierge and ask for the nightcap kit – and they’ll bring you all the tools, mixers and equipment so you can create a delicious drink to help you sleep. Not an expert bartender? No worries! They’ll bring you a recipe card with the preparation details! Wrap the day with this unique and delicious nightcap service and sleep peacefully after a long day of travel! Although there are many drinks to choose from, we recommend the Rum Flip – it’s a favorite. If you’re far from Los Cabos, try making at home! 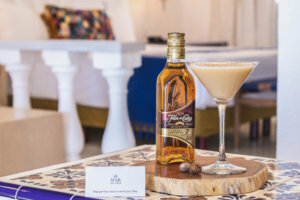 Mar del Cabo has shared their expert recipe so that no matter where you are in the world, you can enjoy the drink and dream of the soft sand beaches of Los Cabos while you drift off to sleep. -Add rum, syrup, and egg to a shaker. Shake for one minute. -Open the shaker and add the ice. Shake again for one minute. -Strain the cocktail into a chilled glass. -Sprinkle a bit of fresh nutmeg over the top of the drink. Sip & Enjoy! You now have a delicious Rum Flip that will be the perfect way to end the day and sleep like an angel.